Posted in: Brian's Presentations. Tagged: exoplanets, Kepler mission, superpig. 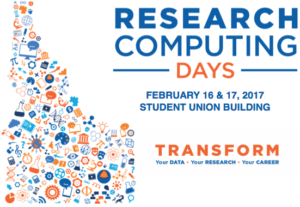 Boise State’s research computing group is hosting a conference today and tomorrow on scientific computing. Along with several others, I was invited to give a 7-min, lightning talk about our research group‘s use of computing. One of the research computing things we do is time-series analysis to look for new planets in data from the Kepler/K2 Mission. So I talked about the new planets our group has helped find – my talk is below.